Tennant Company is a recognized leader in designing, manufacturing and marketing solutions that help create a cleaner, safer, healthier world. 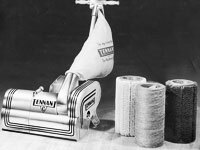 With a vision to become a global leader in sustainable cleaning innovation that empowers our customers to create a cleaner, safer and healthier world, Tennant creates solutions that are changing the way the world cleans. 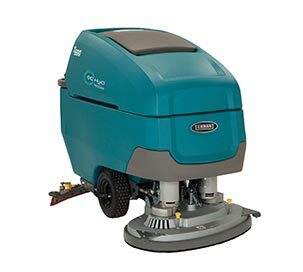 Tennant products include equipment used to maintain indoor and outdoor surfaces, as well as TennantTrue® financing solutions, equipment parts, service, and maintenance to help ensure superior cleaning performance from your Tennant machines. Products are marketed under the Tennant®, Nobles®, Orbio® and Alfa brands. 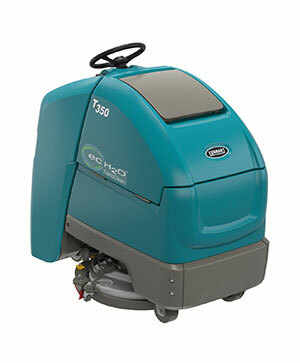 Tennant Company is an authorized master distributor of Green Machines™ brand of outdoor cleaning products. 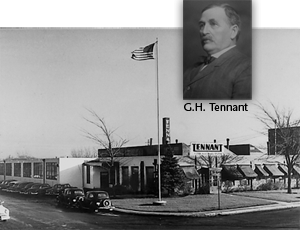 Founded in 1870 by George H. Tennant, Tennant Company began as a one-man woodworking business, evolved into a successful wood flooring and wood products company, and eventually into a manufacturer of floor cleaning equipment. 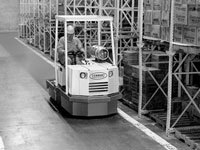 Throughout its history, Tennant has remained focused on advancing its industry by aggressively pursuing new technologies and creating a culture that celebrates innovation. Today, Tennant is a global leader in designing, manufacturing and marketing solutions that help create a cleaner, safer, healthier world. 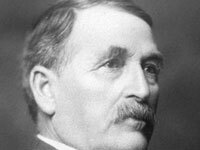 Innovation demands risk taking. Someone needs to take a dare. Someone needs to be a leader. That's the mindset driving Tennant Company and the cleaning solutions we create. Driven by the needs of our customers, we relentlessly work to create better ways to annihilate dirt, dust and debris to make a healthier world to live, work and play. 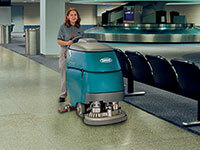 Tennant Company is a recognized leader of revolutionary cleaning equipment and technologies. 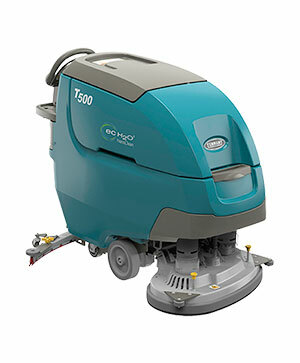 Focused on cleaning more of our customer's spaces more effectively, we are passionate about developing innovative and sustainable solutions to help our customers address their indoor and outdoor cleaning challenges. 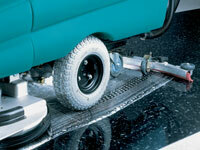 Our suite of water-based cleaning technologies is redefining the way the world cleans. 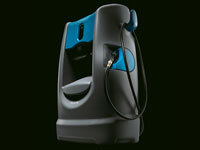 We're also setting the benchmark for sustainable outdoor cleaning by creating products that help to eliminate emissions and reduce noise pollution. 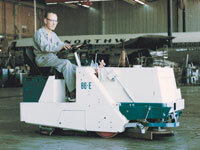 It began as a small woodworking shop in Minneapolis, Minnesota and blossomed into an idea to clean floors. Today, the vision has grown into something bigger. 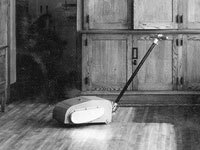 It's become a passion to make floors clean enough to eat off, a devotion to provide carpet you can walk on barefoot and a commitment to leave things in better condition than we found them. Whether it is outdoor spaces in a metropolitan area, a concourse in a major stadium or our child's desk at school, Tennant Company's brands unquestionably deliver solutions to create a cleaner, healthier, safer world. The Tennant product brand helps you be a leader in creating healthy, safe and attractive environments for the people and places in your care. 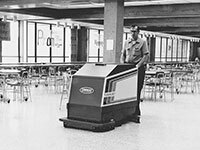 For more than 50 years, the Nobles brand has represented rugged, no-nonsense cleaning equipment that gets the job done. Period. 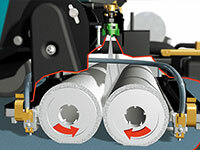 Engineered by Tennant Company, Nobles products are easy to operate, simple to maintain and tough to beat. 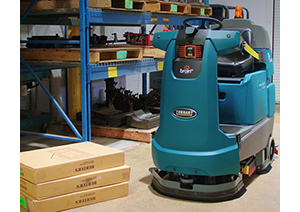 In Brazil's cleaning industry, Alfa is recognized as the market leader, known for its low-cost commercial cleaning equipment and strong distribution channels in Latin America. 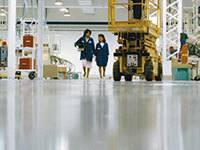 Established in 2009 to execute on Tennant Company's vision of becoming a global leader in chemical-free cleaning, Orbio Technologies Group is dedicated to developing and marketing environmentally friendly technologies under the brand name of Orbio® that will set the standard for sustainable cleaning around the world. 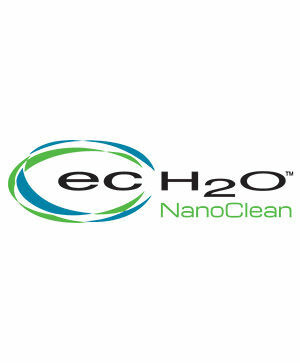 Leveraging Tennant's proprietary and award-winning Orbio® ec-H2O™ technology, Orbio Technologies Group will continue to create and deliver sustainable cleaning solutions to Tennant's existing markets and new markets. Every employee—from our manufacturing plants to our corporate offices—brings their individuality and unique experiences to work every day. We know that creating an inclusive environment is critical to building a world-class team and strengthening our position as an industry leader. If you are interested in joining our team, and looking for opportunities in Australia, Belgium, Canada, The United States, or The United Kingdom please visit our new career site to view and apply for opportunities. For opportunities outside of the countries listed above, please check LinkedIn for our current job openings or send your Curriculum Vitae directly to the contacts listed below for each country. Join the company that's creating a cleaner, safer, healthier world. One steward at a time.